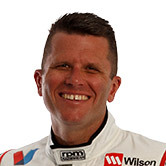 Garry Rogers Motorsport took a genuine “step forward” with its Garth Tander-led performances in Darwin, director Barry Rogers believes. 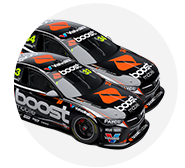 The Holden squad’s Achilles heel has been qualifying pace over the last 15 months in particular, and Tander started 20th or lower in each of the Barbagallo and Winton races. It tested a range of front-end developments between the Winton and Hidden Valley events, with Tander then lining up 13th and sixth in the Top End. The Sunday was Tander’s first top-10 start since Symmons Plains in April and just his fifth of the campaign. 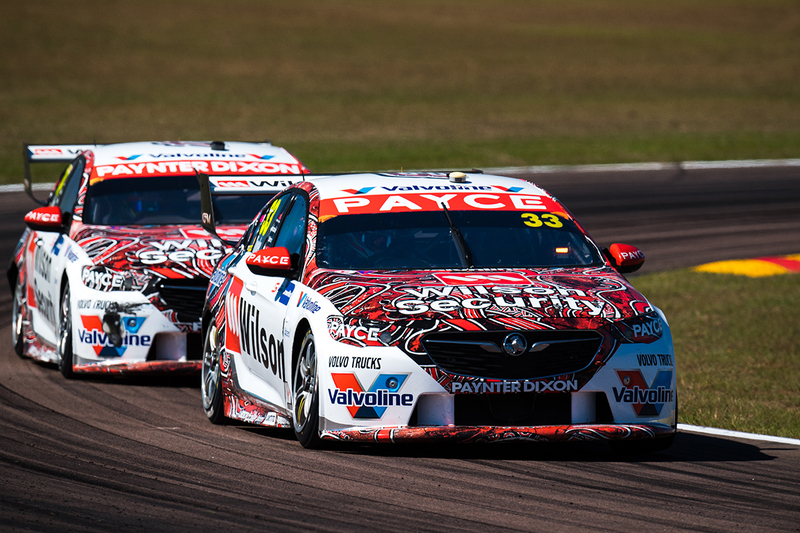 Tander took his Wilson Security Commodore – running a livery featuring indigenous artwork – to fifth on Saturday, his gain of eight places aided by pitting late, and seventh on Sunday. “It was a step forward from where we’ve been in results of recent times,” Rogers said. “Garth [on Saturday] did a superb job, qualifying 13th, making up eight places throughout the race and it was a great engineering job by Crusty (engineer Richard Hollway) and the guys. “[He] got good tyre life out of the car and he drove through the field, did a fantastic job to finish fifth. “He didn’t quite get the tyre life he got [on Saturday] out of the car [on Sunday], and brought it home seventh. Tander described his first weekend of 2018 with multiple top 10 finishes as “very solid” and believes there’s more to come. 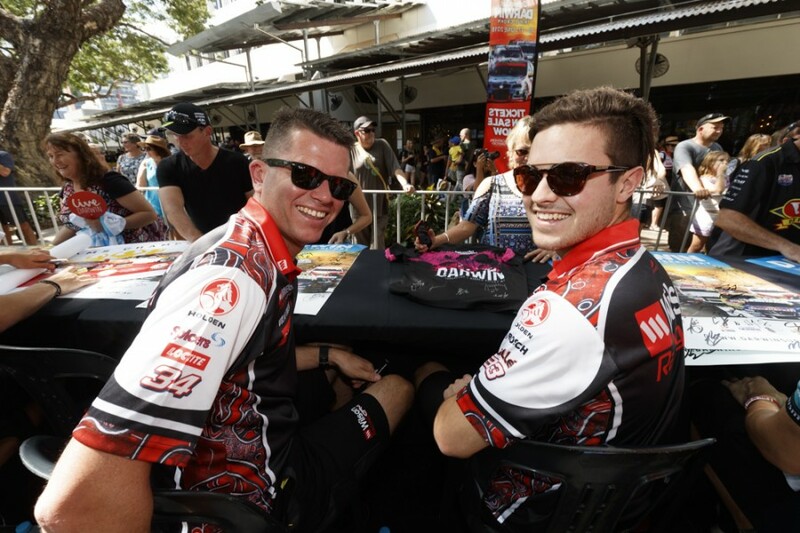 “We certainly made some gains in qualifying and then the race pace, especially on Saturday, the car was fantastic,” Tander, 13th in points, said. “It was really exciting to get ourselves into the Shootout on Sunday and had a really solid car through the race but [we’re] just missing that little bit. 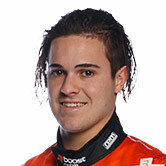 Rookie team-mate James Golding lined up 21st and 23rd and finished 26th and 22nd, at a circuit he did not visit during time in the Dunlop Super2 Series. Golding was involved in early incidents each day, picking up a penalty on Saturday for contact with Tickford’s Cameron Waters; Rogers noting “down in that 20-type area in amongst all of the crashing and bashing often things don’t go your way”. The 22-year-old was, though, encouraged by signs across the weekend. “We didn’t have the best results over the weekend but definitely a lot of positives,” Golding said. “There were a lot of times over the weekend I was really close to Garth, so that’s good because he was able to learn off me as well.